If you love stories by Jules Verne and have always dreamt of going for a ride in a hot air balloon, England is the country for you. 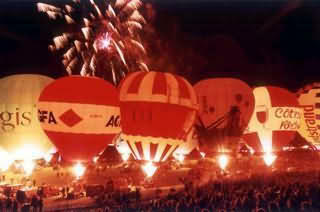 Every August England celebrates the biggest hot air balloon festival in Europe. 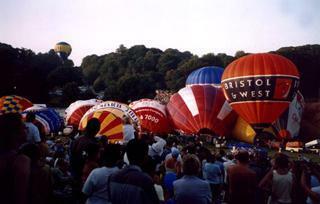 The festival takes place in Bristol, a world centre for ballooning and is called the Bristol Balloon Fiesta. The festival was founded 24 years ago and has an amazing history. 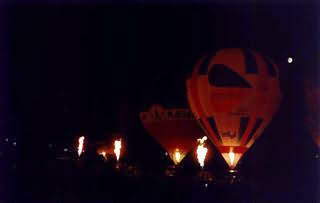 It began in 1978 when Don Cameron, owner of the World's largest balloon manufacturer, Cameron Balloons, decided to create an event that would help balloonists from all over the world to get together. 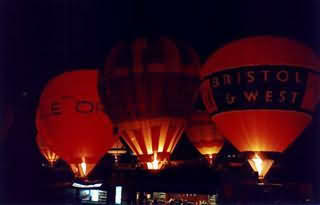 On the weekend of the 7th - 9th September 1979, a small group of balloonists got together to celebrate the first Bristol Balloon Fiesta. 27 balloons shot into the sky and were cheered by a large group of spectators. 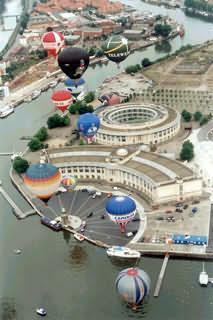 Not all the balloons were from England, some came from Germany, Luxembourg and Ireland. The Fiesta was sponsored by local businesses and some national companies. 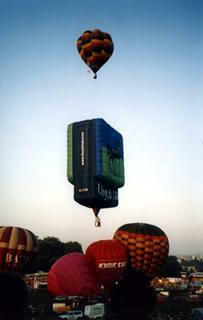 Each sponsor was given a balloon to display their advertising banner. 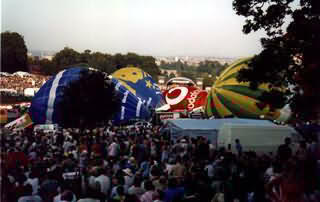 A total of 117 flights were made and the first Bristol Balloon Festival was declared a success and leads the way to the future fiestas. 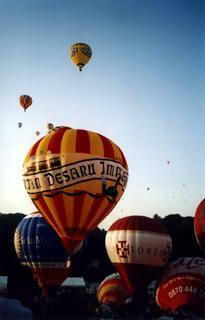 Over the years, the Fiesta has grown to become Europe's largest hot air balloon festival enjoying crowds of delighted spectators and national media coverage. 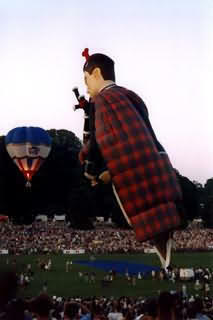 Last year the festival started on the 8th August with a total of 150 balloons. The show lasted 4 days. 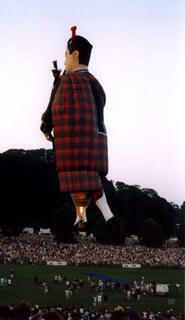 Alongside traditional round shape balloons there were also so called "special shapes" which are balloons in the form of different objects and characters such as cartoon characters and cars. Of course, the main condition for the festival to be successful is not good management but… the weather, which, as you all know, is England's worst enemy. Nobody in the whole world knows how many wonderful hopes and events have been ruined by its Majesty the Rain.